The Financial Markets Authority (FMA) will undertake an analytical review of KiwiSaver fees following a 19% increase in the average investment management fee paid by KiwiSavers during the March year. According to the FMA's KiwiSaver annual report for the March year, the average investment management fee paid by members was $117. That's up 19.1% from the previous year's average of $97.82. All KiwiSaver schemes charge fees based on a percentage of a member's assets, meaning rising balances result in increased fees in dollar terms. 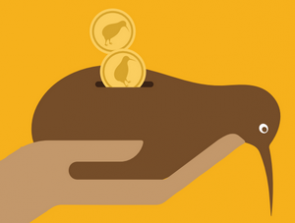 Total KiwiSaver fees paid to fund managers reached almost $448 million in the March 2018 year. "We said in last year’s report that given fund and membership growth, we were surprised that costs per member have not fallen faster," the FMA says. Given a lack of fee reductions, the FMA says it's increasing its focus on increasing provider transparency, encouraging providers to explain why their fees are reasonable, encouraging price-conscious KiwiSaver members to find out if they are getting value for money, by using comparison tools, and encouraging members to focus on net returns after fees, plus services and communications, as a way to check value. "The FMA has helped determine an appropriate methodology to show providers how to present their individualised annual statements to investors. As a next step we intend to carry out a review of some of the disclosures that customers are receiving based on that methodology. We have powers to look at fees when they appear to be ‘unreasonable’ compared to other fees in the market. Where we have seen some fee structures or levels that concern us, we have challenged those providers. We will be undertaking further work in this area throughout the coming year," the FMA says. "Throughout the coming year, we will be conducting further work on the unreasonable fees test, as defined in the KiwiSaver Act. This will involve a data-driven, analytical review of fees based on ‘reasonableness’, and a review of relevant legislation and guidance to establish the limits of the current test, and whether changes should be sought." "We also intend to continue research into KiwiSaver fee levels in the New Zealand market to assess whether these represent value for money, including a comparison with international levels. In addition, the government has announced its plans to conduct a review of fees as part of the default providers’ review in 2019. This year also brings a further opportunity for default schemes to review their offers and submit to the Ministry of Business, Innovation & Employment on lowering their fees," the FMA says. The annual report shows total KiwiSaver scheme members at 2,837,656, a 4.2% annual increase, with 147,692 members joining during the March year, and net membership growth of 115,509. Total assets in KiwiSaver increased by $7.8 billion to $48.6 billion in the March year, with gross investment returns rising by $455 million to $3.2 billion. By June total assets reached $50.787 billion. Return after fees and tax - nothing else matters. Legislate to require that there be no fixed fees, no transfer fees and that the providers have to get their return as a percentage of the gross return. The fixed fee & transfer fee is monopolistic - i.e. once in a fund you have to pay it - you cant ask for other offers. As a monopoly it should therefore be banned. Those funds that cant make enough gross return, or charge a % return fee so high that the net return is low will so lose customers and shut down. Unreasonable intervention in a market. What's next, full on Muldoon style price caps across consumer goods too? There is a major focus on getting KSers to make choices around moving funds under management from default funds to balance/ growth etc funds. If default funds have the lowest returns and lowest fees then the natural effect of more people doing this transfer would be an overall increase in fees payable as well as the % of fees being paid to increase. I think that there is hyperbola about fees currently and I wonder if it is partly just a marketing ploy by the government bodies to try to get people looking and being a bit more analytical about their KS choices.